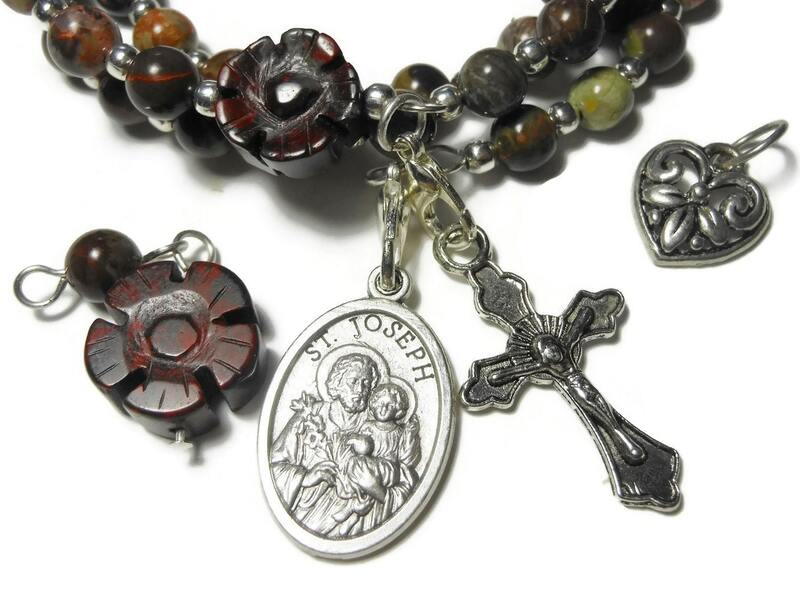 Interchangeable Rosary bracelet "St. Joseph" five decade, Sierra agate beads, brecciated jasper floral padres, silver plated medals. 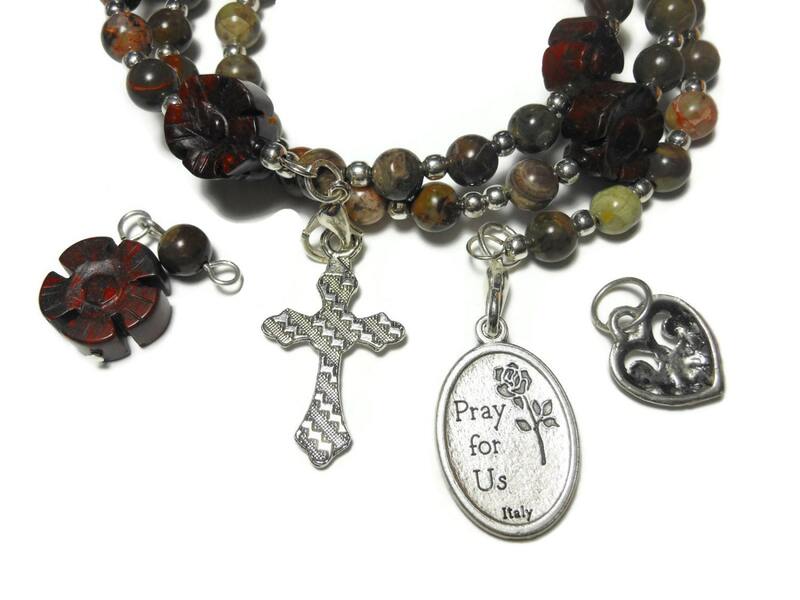 The Sierra agate beads are accentuated with silver plated findings on silver plated memory wire with a silver plated crucifix and St. Joseph medal. 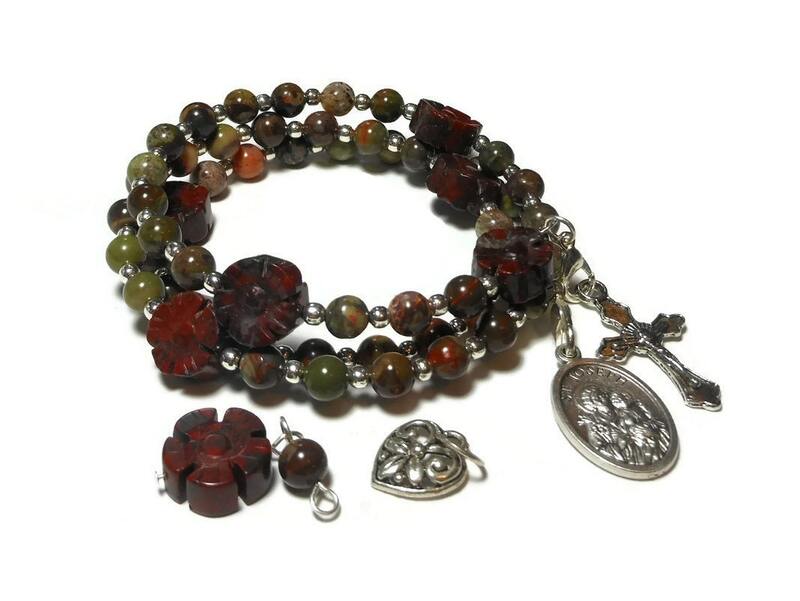 The Our Father beads are floral carved brecciated jasper. The result is a complete 5 decade rosary. 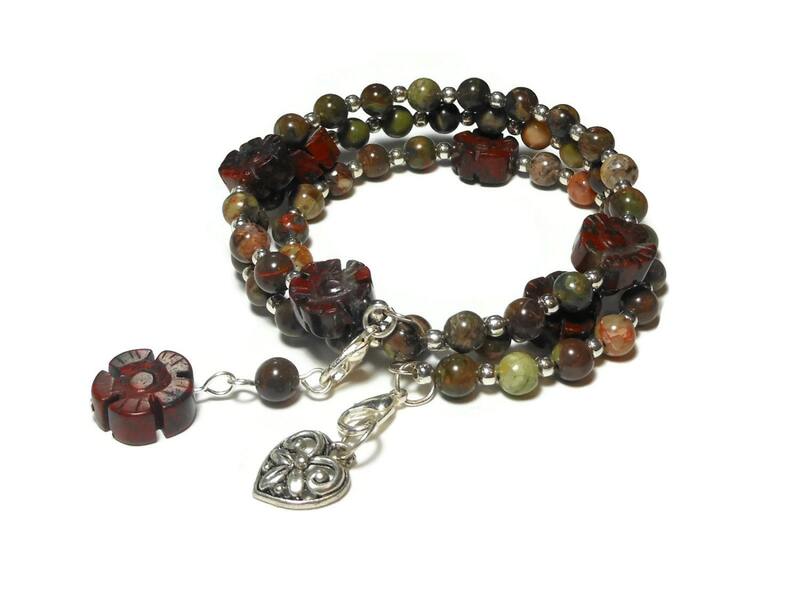 BUT the charms are attached using a clasp so you can easily change out the cross and medal with the included silver heart charm and brecciated jasper and sierra agate drop for evening wear! The Hail Mary beads are 6mm. The cross measures 1" (2.5 cm) in length and the medal is 7/8" (2.2 cm). The bracelet is made with memory wire and will adjust to any size wrist. Memory wire will hold on to it's shape and will not tarnish. A great choice for someone who has trouble with clasps.